Already the entry-price range of the VSX-531 combines home theatre expertise and modern connectivity. Its HDMI ports are compatible with Ultra HD image signals and the sophisticated MCACC automatic calibration ensures that the multi-channel film sound is produced to its best effect in every living room. 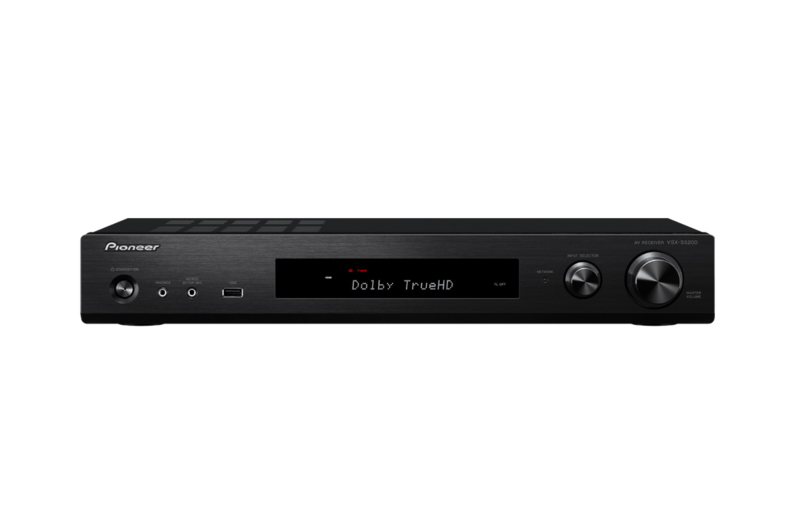 The modern, high-resolution dts ES and Dolby TrueHD surround formats are decoded, while the Advanced Sound Retriever breathes new acoustic life into data-reduced digital music files. So you can throw any audiovisual content at it that you want, the VSX-531 always turns it into an impressive experience. The VSX-831 offers all the port and connection options that a modern and future-proof entertainment hub needs. Its 6 HDMI ports already accept image signals in the upcoming UHD standard as well as high-resolution audio in the Dolby TrueHD, dts ES Master and DSD formats. 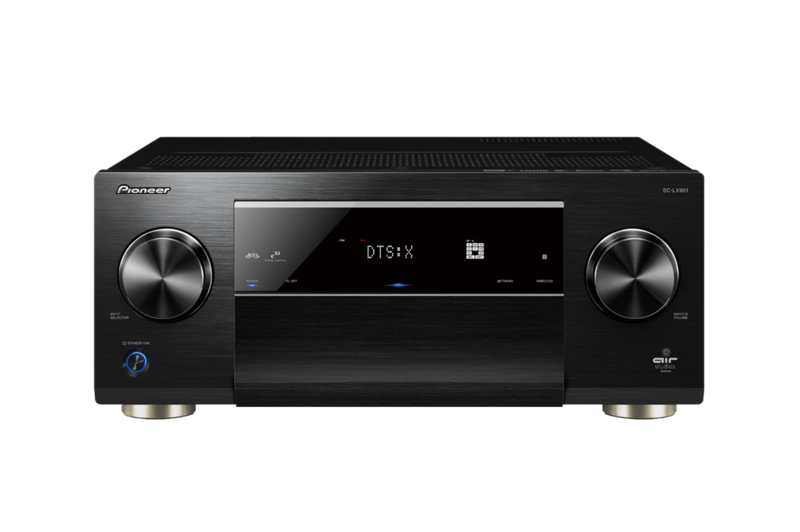 With built-in Wi-Fi and Bluetooth, the receiver does not have to match any modern streaming method: AirPlay, Chromecast built-in and FireConnect as well as the streaming services Spotify, Deezer and Tidal are synonymous with truly limitless musical enjoyment and listening pleasure. The VSX-1131 offers a top-quality home theatre experience with the new object-based Dolby Atmos and dts:X audio formats as well as 4K video scaling. Its network capabilities also leave nothing to be desired: cloud streaming with Spotify Connect or full CD quality with Deezer and Tidal, Bluetooth, Webradio, AirPlay and Chromecast built-in and FireConnect - the new powerful multi-room standard. All the above as standard as the new, intuitive operating concept, the superior MCACC calibration system and even the phono input. Nine amplifier channels in Direct Energy HD technology transform any living room into a cinema, including optimum implementation of Dolby Atmos and DTS:X. The Pioneer calibration system MCACC Pro optimises the sound, super resolution video scaling the image – the latter borrowed from Pioneer’s top Blu-ray players. The integrated streamer supports all formats, knows all standards from Bluetooth to high-resolution and replaces an external player thanks to the high-end ESS DAC. The SC-LX 801 sounds so good that even studio professionals can use it as a tool – regardless of whether only two stereo channels are needed or a nine-channel Dolby Atmos set wants to be fired up. This receiver does not even need an external player for music of the highest quality since its streaming features are capable of high-resolution playback and its D/A converters meet audiophile standards. 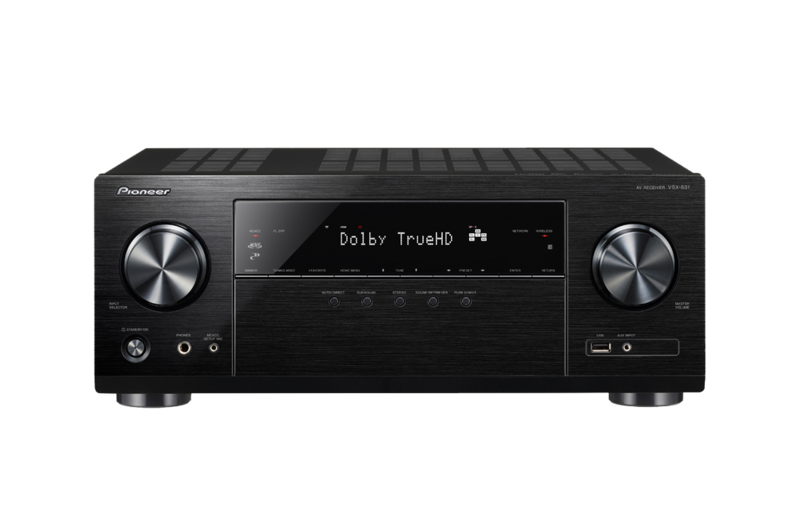 The SC-LX 901 is the best AV receiver in Pioneer’s company history. 11 output stages with the even further improved direct energy HD design fill even the most ambitious home cinemas and fully developed 3D speaker sets with clear, powerful sound. The new streaming architecture with integrated lossless music services, high-resolution support and dual-band WiFi provides music in the best quality – from the NAS, Internet or smart phone. Measuring just 85 mm high and 317 mm deep, the VSX-S510 slim receiver is still packed with tons of features. High-resolution music file playback, 4K Ultra HD Pass Through, vTuner internet radio and an energy-saving ECO Mode are just a few of the many features you'll find in this little black box. Can you easily get high-quality home cinema in your living room? With the new slimline receivers from Pioneer – definitely! 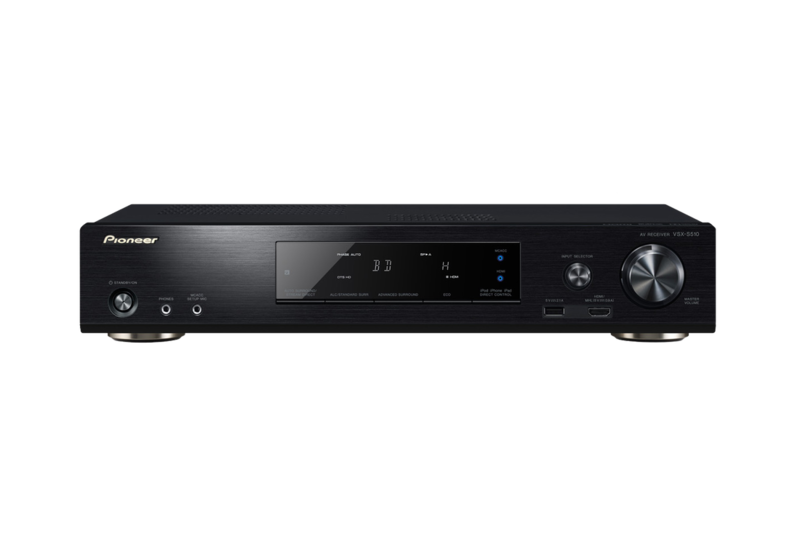 The VSX-S 520 offers ample multi-channel performance, decoders for all modern cinema sound formats and full streaming features that make separate music players superfluous. Stream music using Spotify, listen to Internet radio or high-resolution music from your NAS server, and run your smart phone apps through the system. Can you easily get high-quality home cinema in your living room? 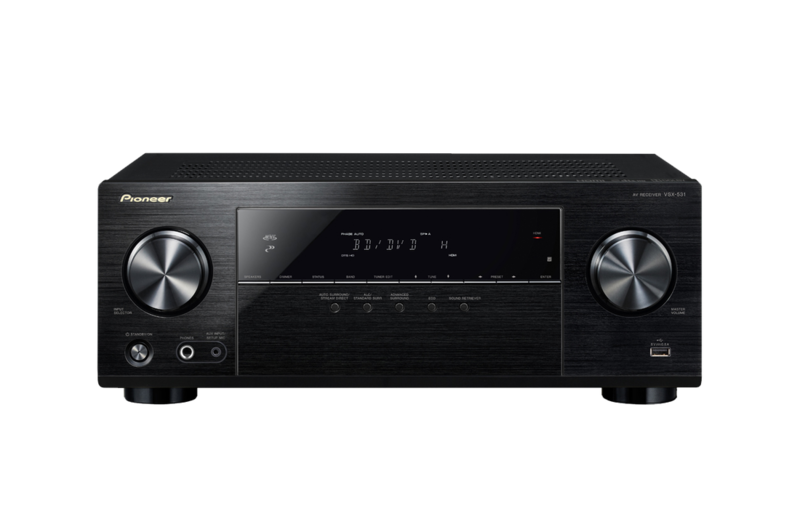 With the new slimline receivers from Pioneer – definitely! 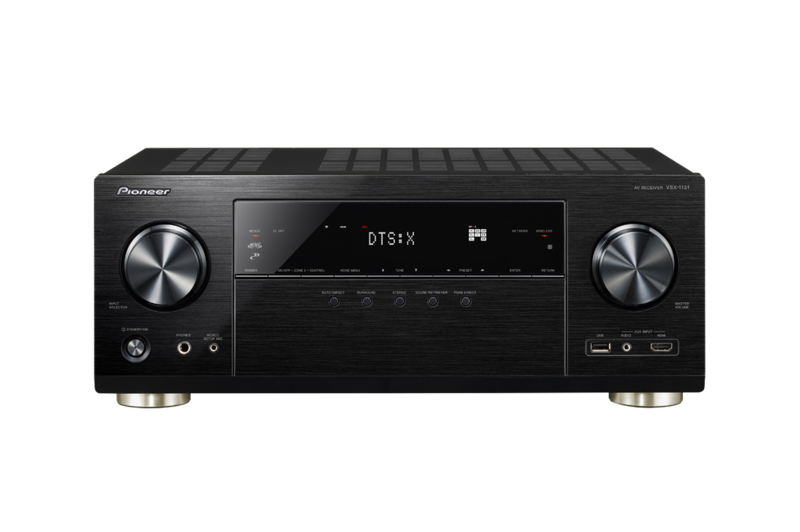 The VSX-S 520 D offers ample multi-channel performance, decoders for all modern cinema sound formats and full streaming features that make separate music players superfluous. Stream music using Spotify, listen to Internet or DAB radio, play high-resolution music from your NAS server, and run your smart phone apps through the system.